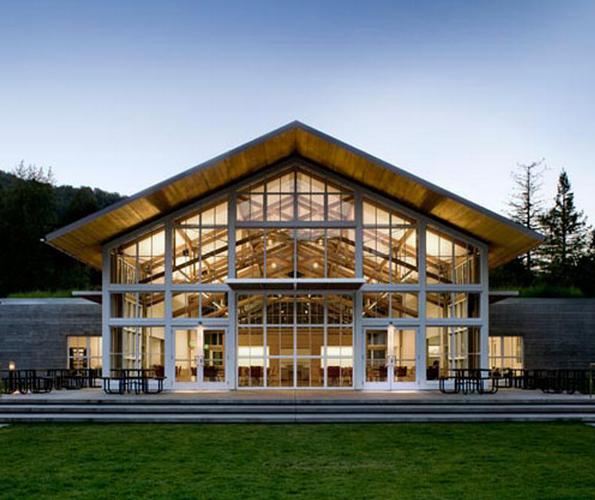 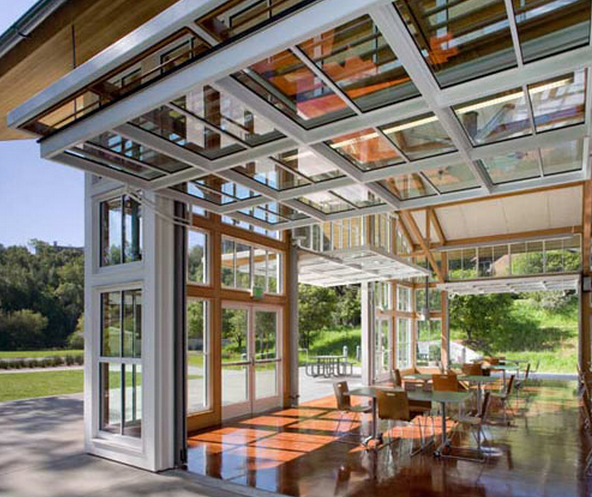 Check out what Turnbull Griffin Haesloop Architects has designed for high school students at Branson (duh) in Marin, California. 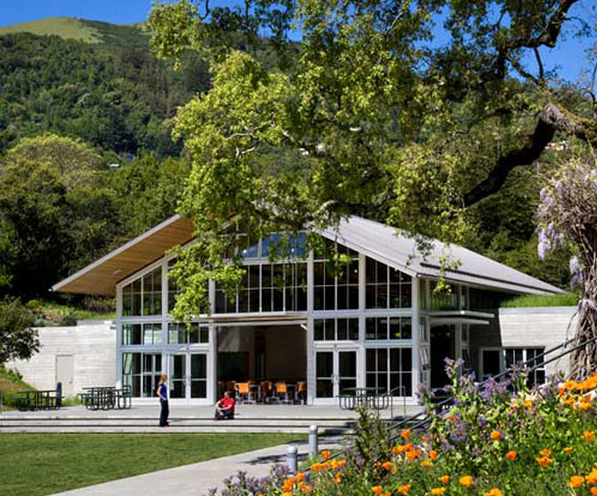 This is the new student Commons, also known as Novato High's "quad." 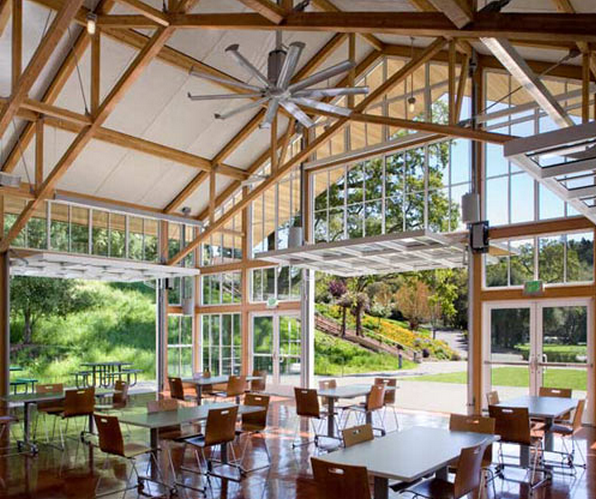 Its a combination of a dining hall, kitchen, offices, and lounge. 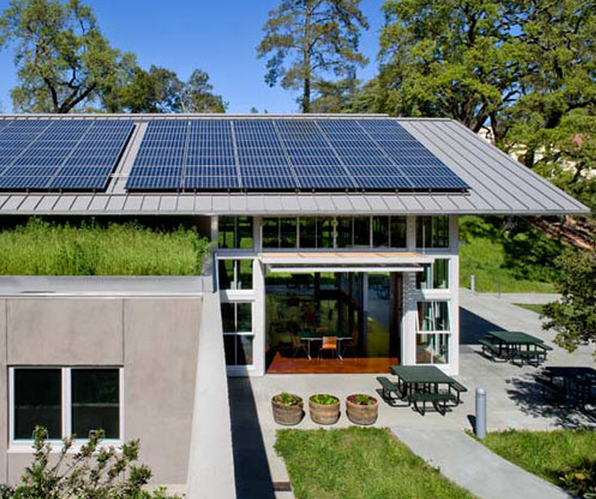 LEED Platinum certified of course.